The most technologically advanced museum I visited in Warsaw was the Chopin Museum. While I’ve recently written about how fantastic interactive and immersive museums are, the Chopin Museum takes this to the next level. The ticket you receive, instead of a typical paper stub, is a digital card similar to that of a hotel room key. Upon entry, you active your card by tapping it against a digital card reader. Once activated, your ticket grants you access to additional features of the museum. The Chopin Museum is arranged chronologically, with each room featuring music and information relating to only a certain time frame of Frédéric Chopin’s life. The way a visitor is able to interact with this information differs depending on the room however. For the room focused on Chopin’s childhood there are listening pods where you can sit, scan your ticket, and listen to Chopin’s earlier works. For Chopin’s adult life you can scan your card and flip pages in a book that are computer generated. When learning about the women in his life there is a touch screen computer activated by your card that plays a short video. All of this is presented in your native language, which is selected upon entry. 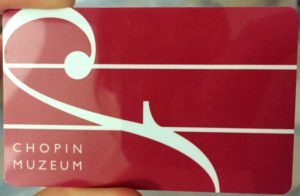 While each room proposes a different way to interact with Chopin’s music and life, one aspect remains the same: your keycard is necessary to active the exhibit. The ingenuity blows me away, almost more than the museum itself did. The data collection from the card system must be so helpful to the administration, and it has the potential to revolutionize the public history industry. In your average museum data collected is simplistic, focused mostly on how many people buy tickets. If a new exhibit comes in and ticket sales go up, it can be concluded that the exhibit was the contributing factor. But how long were people interacting with the exhibit? Did people enter just for the featured exhibit, or did they then explore the rest of the museum? How much did people like the exhibit, or the museum in its entirety? While some of these questions could potentially be answered through surveying patrons, it is almost impossible to get information on every visitor’s experience. The Chopin Museum is an example of how that is changing. When you enter the Chopin Museum and activate your card, you are instantly assisting the museum with its data collection. To access exhibits and information your card needs to be scanned, which helps the museum see which exhibits are performing better than others. Some of the exhibits require extra involvement, such as touching a screen or flipping a page, which gives the museum a guess as to how long each exhibit is being interacted with. And at the end of your visit you tap your card out and return it, giving the museum an exact time of your visit. While the Chopin Museum is most likely using the information for more than just its marketing efforts, the concept is still the same: finding ways to get more data to make more informed decisions. 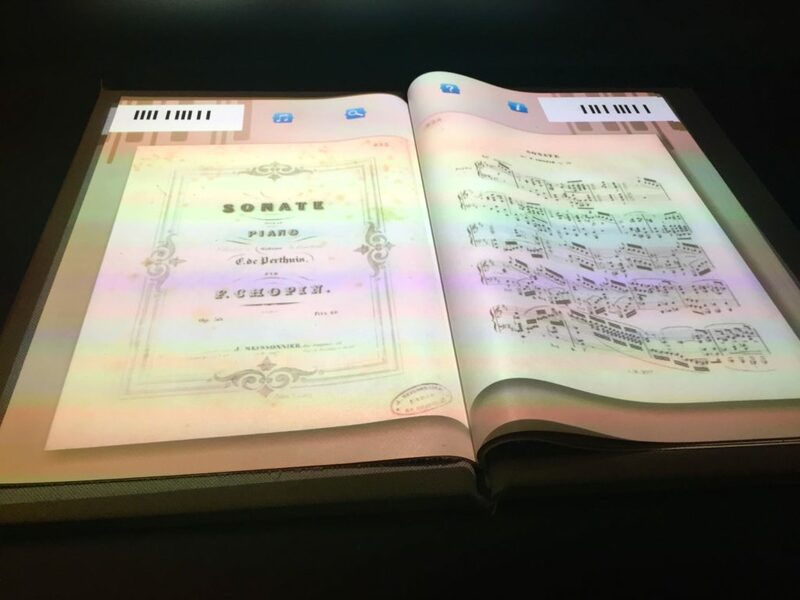 If very few people watch the videos on Chopin, but many listen to his music, it makes sense that future exhibits would be audio-based rather than visual-based. Analytics gives you the opportunity to see what has and has not been performing well, and to make decisions based on these findings. You learn so much through data: who your audience is, what forms of media they prefer, and what type of content they enjoy. This kind of information is invaluable. As a business, having a greater understanding of your audience can help you create content that resonates better with the people you are most trying to connect with. By then providing value to prospects you are showing them that you understand their needs, and that you are a good company to invest time and money into. Marketing analytics, and data collection as a whole, is so interesting. Using information to improve a customer’s experience is a fantastic opportunity, one I’m excited to see museums adopt. While the Chopin Museum isn’t the first of its kind (the National World War II Museum in New Orleans has a similar approach) it highlights the future of museums and public history as a whole, a future I’m excited to see develop. 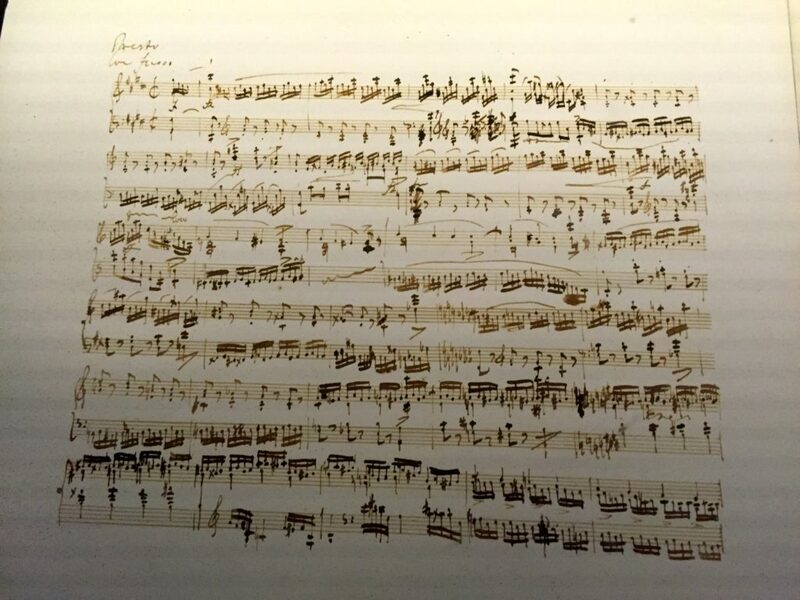 This entry was posted in Business, Europe, History, Travel and tagged analytics, chopin-museum, data-collection, marketing, museum, Poland, warsaw. Bookmark the permalink.